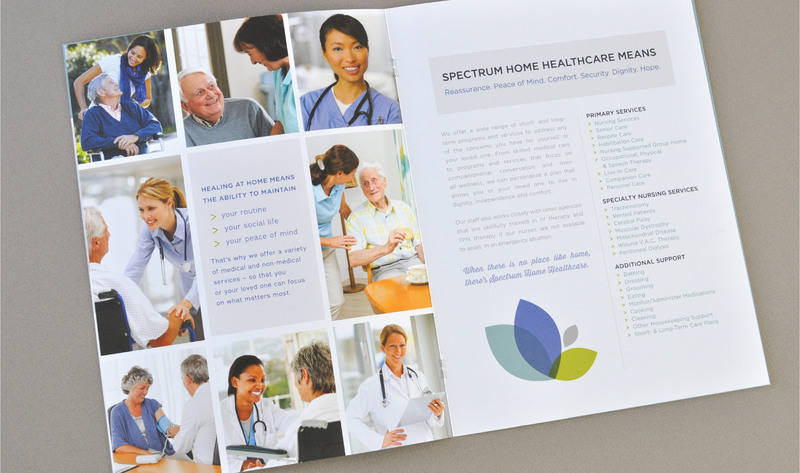 Spectrum Home Healthcare delivers compassionate and professional health care and support in the home for those who are limited by medical or physical/mental conditions. 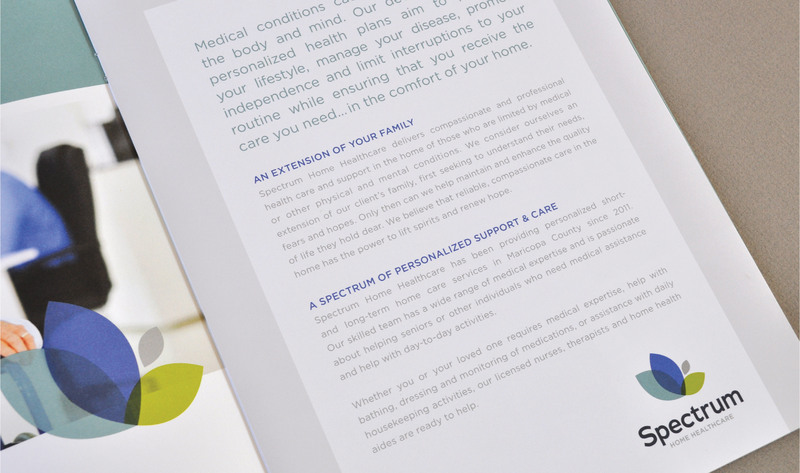 They consider themselves an extension of their client’s family by seeking to understand their fears and hopes, while providing reliable, compassionate care their own home to lift spirits and renew hope. 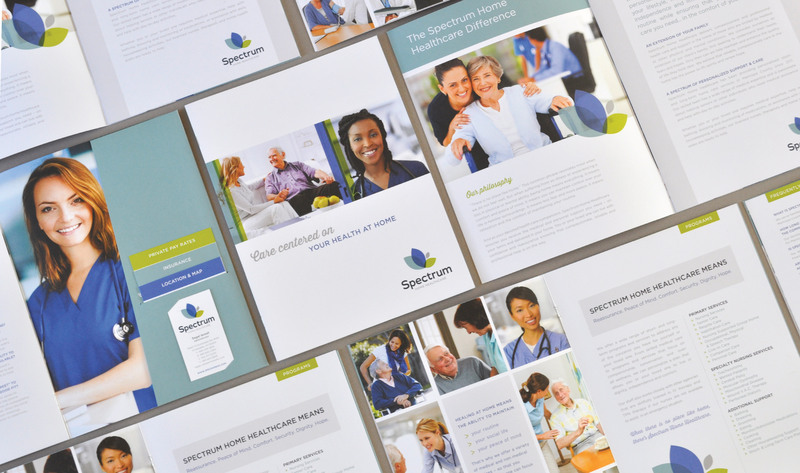 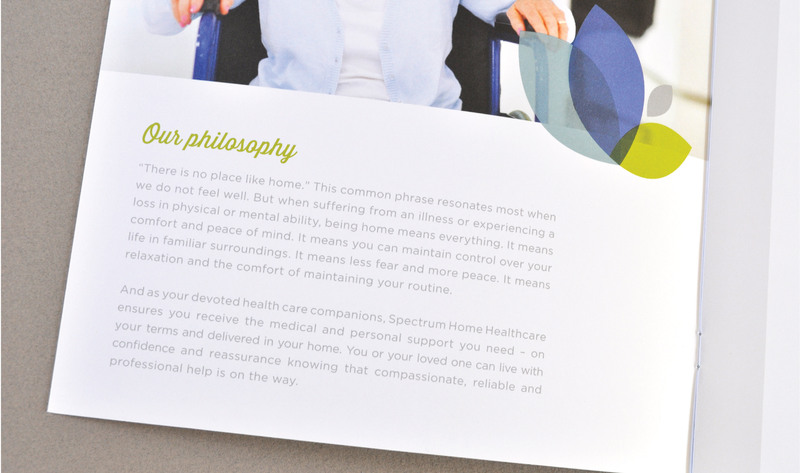 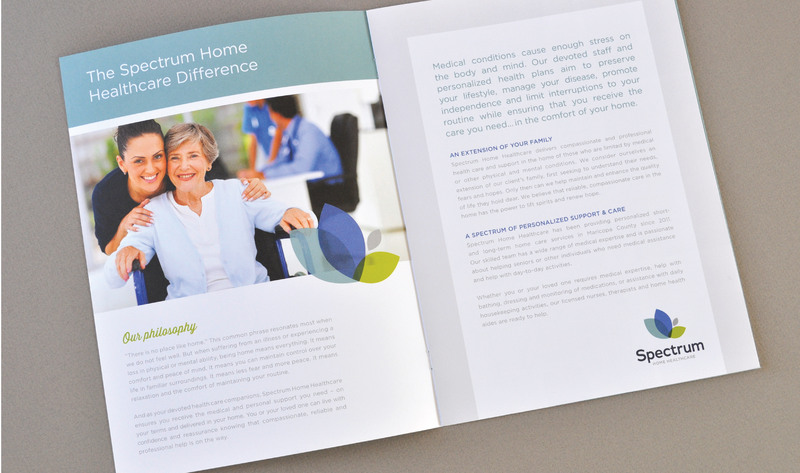 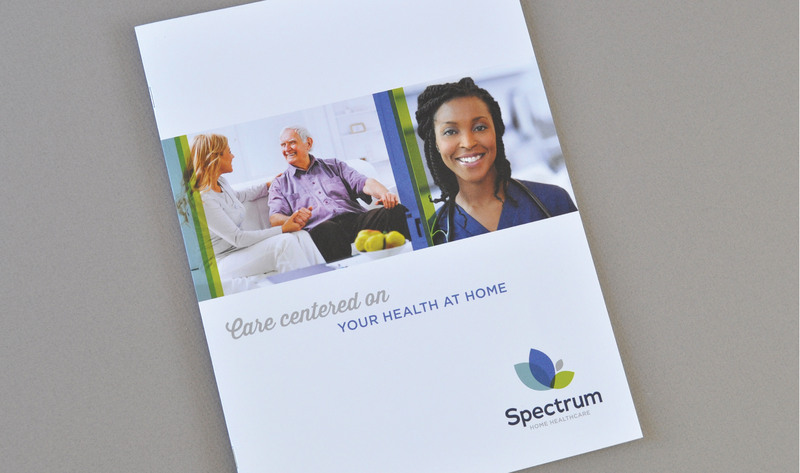 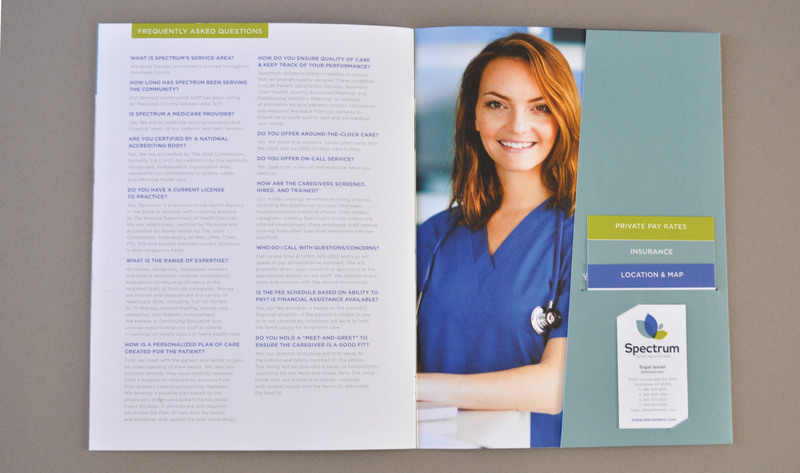 Candour collaborated with Spectrum Home Healthcare’s marketing team to create a fresh, modern brand that uses abstract graphics of leaves/flowers to evoke a sense of serenity and nature while pairing it with calm and soothing colors and photography reminiscent of care, concern, compassion and reassurance.